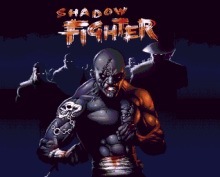 Shadow Fighter is very similar to Street Fighter, but is maybe better and is a more mature game since it have more real characters and blood. A very few fighting games contain blood and besides this one there is mainly the wonderfull Mortal Kombat series that have it. I short this is a mature Street Fighter game with Mortal Kombat elements. The most bloody and gory 2D fighting game ever must be Time Killers that only was released for the arcades. The game got very good reviews when it was released and i never understoood why, but now i think it's good. 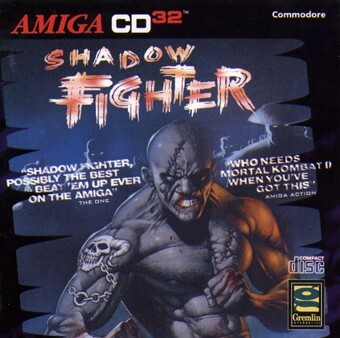 The reason is because i have tried tons of 2D fighters on other systems and found out that this one was not bad at all. The graphics is partially AGA, and there is animated backgrounds. 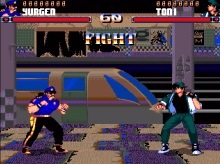 The graphics on the fighters is not bad, but look very cartoonish like most fighting games on Neo Geo. The animation on the fighters is like they usually are and is ok, and same applies with the moves and controls. The sound is good and the game features lots of CD audio tracks that is nice, but not excellent. On CD32 this may be the best fighting game, but the most impressive on Amiga ever must be Elf Mania for A500, but that is a different story.